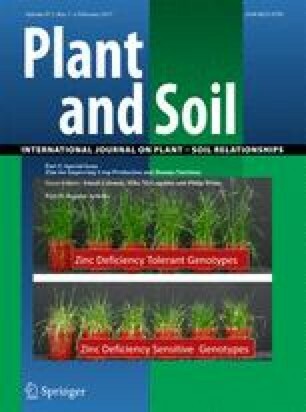 Zn hyperaccumulating plants reach Zn concentrations in their leaves that are several hundredfold higher than the target values set for Zn-biofortified crops. This extreme trait is relevant for Zn biofortification in various ways that are being discussed based on what is known about Zn hyperaccumulating plants. First, Zn hyperaccumulation is the result of changes in metal homeostasis networks shared by all higher plants. It is not strictly dependent on high Zn levels in the soil. Thus, mechanistic insights gained from the study of Zn hyperaccumulators can support the breeding and engineering of Zn-biofortified crops. Second, certain plant families, the Brassicaceae in particular, appear to be genetically predispositioned to evolve enhanced Zn accumulation, suggesting the existence of intermediate species with elevated Zn concentrations in their leaves below the hyperaccumulation threshold or the potential to breed for such plants. This calls for extended screening especially among potential vegetable crops, ideally guided by knowledge about the at least partially convergent evolution of Zn hyperaccumulation. Third, the introduction of leafy vegetables with high Zn concentrations or even of Zn hyperaccumulator leaves into diets may represent a valid complementary biofortification approach. I am grateful to Mark Aarts for discussions and to Hassan Ahmadi for the A. halleri picture. Work in the author’s laboratory on Zn hyperaccumulation is supported by the Deutsche Forschungsgemeinschaft (CL 152/9-2).